Avant deux Breton Sets. Julian Stan﻿ley will lead us in these after lunch. until THIS years' voluntary teachers can all have their participation confirmed. Displayed next was 2010 April's Monday programme. The finale of Sunday evening for all who may wish to stay up to take part. Amanda is to prepare our Sit down meal on Fri evening. "Early Bird" Season Ticket. COMPLETED FORM IS REQUIRED BY MONDAY 30th March ! "Early Bird" Season Ticket:ENDING. COMPLETED FORM IS REQUIRED BY MONDAY 14th ! Considerable thanks are due to all of the many contributors to each of the annual Great Alne Long Weekends. Individual generosity has allowed the structure of "open exchange" of music, dance and other activities to continue, and many have freely given much of their time, energy and travel. Especially though, to those who gave much, but were able to be rewarded through participation, rather little. James Eisner who shared his wonderful skills in leading part song. Staying locally, he brought his wife Louise & little Benjamin. We began with a walk on cLICK FRIDA﻿﻿Y - then Dutch Dances - then a sit-down brought-in meal. bourées were an LNE finale. ﻿This WEBSITE is being updated for this April's Long Weekend. with our "Early Bird﻿" Season Ticket offer. An early and a later extension of next April's final Weekend. ﻿VISITS at anytime - Next April, try all of our less busy: more quiet Mon﻿day. seen here in Holland on "you tube." w/e before Mayday Bank Hol. A workshop in costume each day ! "Costume Ca﻿twalk" Sunday evening ! An﻿d their catchy Dutch songs. Brilliant Dancing Space: Plentiful safe car parking: Nice detached lounge by small lawn: Near Bham Uni. Sample these lively Sunday afternoon (mainly) American Contra Dances. Hot drinks at 2pm & interval. The amazing Recursion again - what CAN be better than Grace's uniquely fiery fiddle ?? Brilliantly energetic music was ours for the wonderful first contra for which the duo had ever played. LAST Sunday afternoon they played their first contra as an awesome foursome! Absolutely BRILLIANT ! BONUS Chrissie-Dance afternoon: 21st Dec. Latest (7th Dec) poster HERE: Details below. At our Contras, you'll often see Re﻿cursion﻿ play﻿ing. Click on the "blue" to enjoy some of their music. Better still, dance to the brilliant dynamic style of Sam & Grace at our energetic series: Brummie-Contras. Temporarily, to check exactly the band/caller for the arranged dates of the Contras. Teccie IN﻿FO This page is updated after the similar one which you FIRST reached at this website. (Refresh may or may not find that page) !﻿ With apologies; several unexpected ongoing changes are needed to seek available bands. You may wish to check exactly the band/caller for the arranged dates of the Contras. The 2nd ace Brummie Contra was Fri. 5th Sept at St Anne's Hall, Moseley. - Then click o﻿n your download icon. This opens a fill-in form to give you a discount up to 15th Oct.
A Series of Brummie Contras: American Style. DISCOUNT ﻿﻿-﻿ ﻿﻿﻿﻿form H﻿ERE﻿﻿﻿﻿ for early BACS payments. "On the door" ﻿﻿£8.50 (student £6.50) ﻿- ﻿ Prepay EARLY - Get a £2 DISCOUNT - Form & instructions BELOW. You are equally welcome with; or to arrive without a dancing partner. Most contra danc﻿ers choose to improve skills by regularly changing dance partners after each one or two dances. ﻿Our callers guide you through dances mainly in American Contra style. For our Contras, you'll often see Re﻿cursion﻿ play﻿ing. Click on the "blue" to enjoy some of their music. Better still, dance to the brilliant dynamic style of Sam & Grace at our energetic series of Brummie-Contras. Sunday 25th Jan 2.00pm to 5.30pm. Conta﻿ct us ﻿﻿﻿-﻿﻿ ﻿here.! MORE DANCE ﻿TO ENJOY- from ﻿Great Alne Long Weekend team: See main website Homepage! Conta﻿ct us ﻿﻿﻿-﻿﻿ ﻿here.! More dancing - from the﻿ ﻿Great Alne Long Weekend team, Go to: ﻿main website Homeepage HERE﻿! Next Contra date at B13 8DU: Friday 2nd﻿ Jan 2015: St Anne's Hall, Moseley. We're seeking an advantageous Hall to trial some Autumn Contras on Sunday late afternoons. We intend these Brummie Contras to be more frequent ! (where Friday Folk normally meet.) - Our flier is HERE. Park car on Park Hill (road outside). Walk through lych gate, past prominent church, to hall behind. Early discounted payment by BACS will shortly be available HERE ! To see the TIMETABLES WITH MANY VARIED EVENTS. Click on each day: (or above). Here is our "Early Bite" page to book a discounted Monday daytime and meal. Join u﻿s at Great Alne in April. "Costume Catwalk" Sunday evening ! Try their catchy Dutch songs with us. View some dances here on 'you tube'. In APRIL, Join in ! come in ! sign in - Participate in a wonderful long weekend ! NB. Our Caterering lets you enjoy all this with no need to prepare sandwiches, or to cook at home. c. Post cheque and forms to arrive by 1/4/14﻿ to: "Extra-Early BITE"
(Please note: In the event of unforseen circumstances, these "Early" payments are not normally refundable. Why forms used for bank transfer seem somewhat odd on download; & as you fill-in. They may presently seem strange to fill-in, but will hopefully be effective. Constructive suggestion appreciated. c. Post cheque and forms﻿ before 1/4/14﻿ to: "Early Bird"
(Please note: In the event of unforseen circumstances, these "Early Bird" payments are not normally refundable. or/& also here discount Early booking of Daytime on Sunday. click for Early Bite cheque payment form to com﻿plete. A slightly gentler, yet active day. Monday 28th April. Click under for Fullscreen view. mag-it bottom left. Working Programme Edition. 2 pages Ham Radio contacts today ! tbc See below. K indicates that food is available ONLY from the Kitchen Door. Eating times to obtain food today, shown in green. This prevents any need to queue or wait. 1. Download, print, complete this BOOKING FORM which also incorporates menus: allowing you to add choices at Friday and Monday's prepaid hot meals, together with names of all who are included in your prepayment booking. A slightly gentler active day. Music, dancing - more. 2013.Monday page. cLICK -View the ladies demonstrate their unusual fishing-net-repair dance on "you tube"
We offer a very special welcome to Dansgroep Oostzaan. 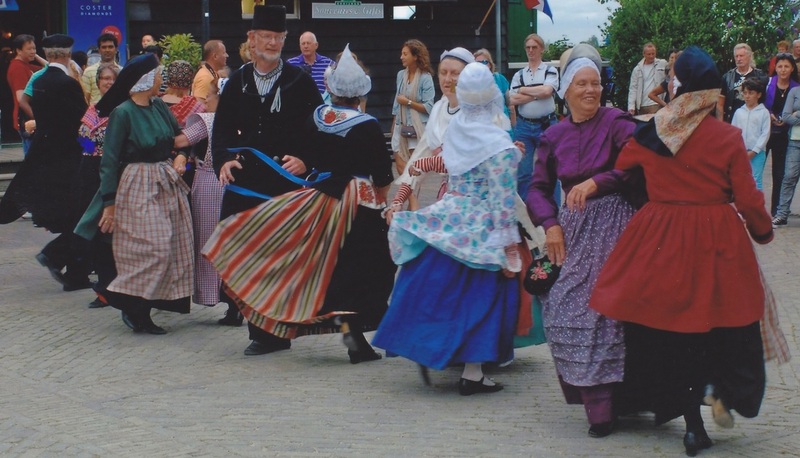 A baker's dozen of dancers from North Holland Province in the Netherlands. 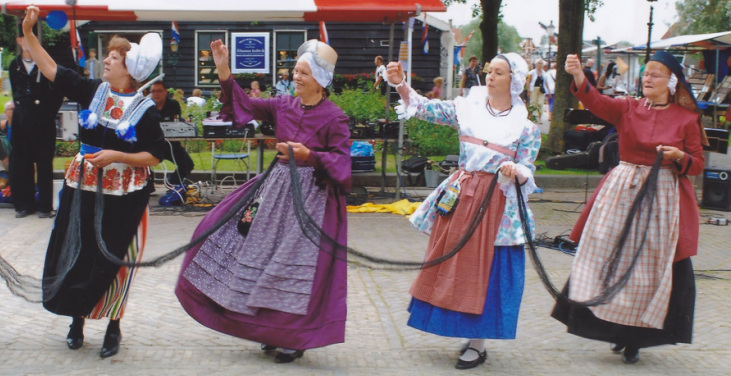 - in costume, they will share much traditional (& more recent) Dutch repertoire with us. cLICK - View the ladies demonstrate their unusual fishing-net-repair dance on "you tube"
cLICK - View the group displaying with traditional dances from the Netherlands. Join us at Great Alne, to share these - many more dances: and a lot else next April. Opposite it in Henley Rd is the distinctive Old Station House. cLICK here on 2013,Saturday etc for now, as a guide to timetabling of the 2014 event next April. 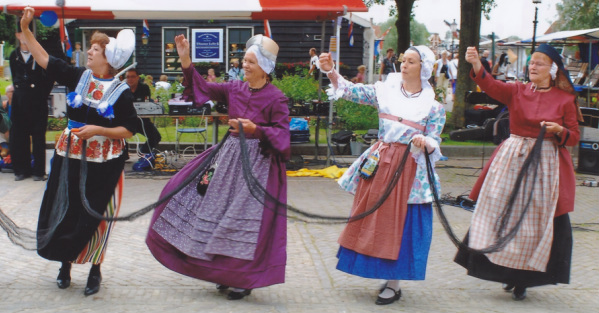 Inneke will be teaching us some dances of the Dansgroep Oostzaan. We look forward to making a very special welcome in 2014 for Dansgroep Oostzaan. cLICK - View the ladies demonstrate an unusually interesting dance on "you tube". Join us to share this and to dance much more in 2014. 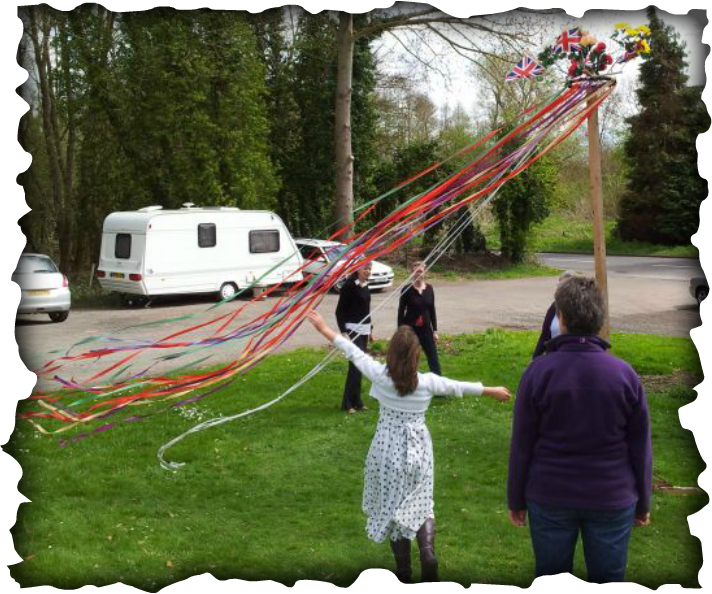 Detailed Apr 2013 programme: Dance/Song/Activities: click above to view each day. Whilst updating just above, this formatting failure occurred also to 14 links then following on the page. Friday Feet particularly welcomes newcomers. At Cecil Sharp House (nearest tube Camden Town). Anne Leach our vivaceous main 2011 International Dance teacher frequently shows these dances. In Alcester UK. "American style" Contra Dancing. Great if you take a partner, but not a requirement. As in USA, there's lots of dance partners there. It's quite usual to change partner after each dance. English (Playford) & English Country Dance. Contra Dances. Few Ceilidh dances. A small, lively group - Friday Feet is particularly to welcome newcomers. Anne Leach our vivaceous International Dance teacher in 2011 & '12 frequently shows these dances. Just arrive to take part on most Friday Evenings except August, 7.30 - 9pm. No need to bring a partner. As well as the above, there will be a full programme featuring favourite items. If you've missed out on this unique event in previous year, do join us NEXT April. Welcome to the white and raftered Memorial Hall of this beautiful English Warwickshire village. We're ALL learners at some activity!Many are experienced in dance/music.We have skills to share. This w/end, Join in ! come along ! 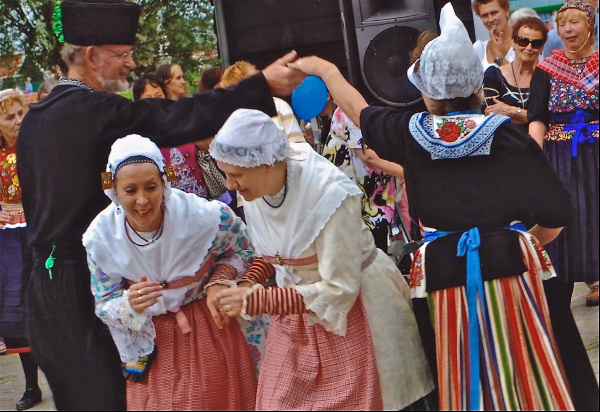 Participate in a wonderful series of folk events ! We ask though please, that you make at least a small, apt financial contribution ! Fri Eve, Sat & Sunday - wonderful for visitors sampling, as well as for those staying. SAMPLE over the Long Weekend - varied dancing, music, song, handbells, walking, cycling & more. Ideas of where to stay when you visit: on the Accomodation page. Map: route directions (with a selection of interesting local walks) - on the MAP - etc page. Want to come ? Wish to know of something on the Programme? Over the Long Weekend - try a text to 07725 895 705. Poor signal at the Hall, but will endeavour to respond. Karin Bellaart from The Netherlands - was our main 2013 teacher of International Dances. KARIN's REPERTOIRE from which her dances were selected, you may view it here. Evening Dance or Day visits welcomed: Great Alne Long Weekend: Our site's Home page. Contact us -here. Do refresh any page tab of your own, as you check for latest information. Look what WE are doing on these sunny bright mornings this weekend & join us.